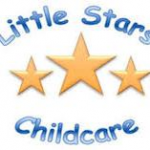 Planned activities relate to the Early Years Foundation Stage from birth to five years. We work to written plans but encourage spontaneous child lead activities and allow the children to develop as individuals. Play is an important part of learning and development. Two, Three and four year olds are entitled to 15 hours or 30 hours per week for 38 weeks a year of funded nursery education. We will follow the New Code of Practice on the provision of funded places. This can be made up of flexible sessions between 9.00am and 3.00pm. Fee's are at a competitive rate and inline with other local settings.